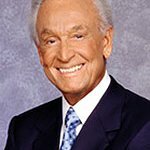 Retired TV host and broadcast legend Bob Barker returns to Animal Radio to guest-host a special show on 99 AM-FM stations and XM Satellite Radio. While Bob Barker is retired from show business, he’s working harder than ever to help animals get out of bad situations. “His money is where his mouth is,” says Animal Radio News Director Bobbie Hill. Barker has donated millions to save whales, seals, elephants and lion cubs.